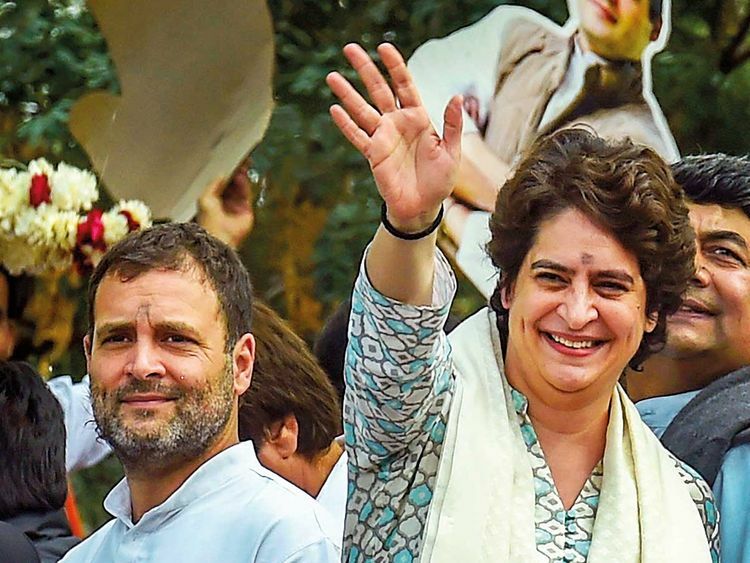 Priyanka Gandhi Vadra, the popular sister of the head of India's main opposition Congress party, made her political debut on Monday with a roadshow drawing thousands in the most populous state months before a general election due by May. But a string of BJP defeats in state elections late last year and rising discontent over a weak farm economy and lacklustre jobs growth have weakened Modi's position, which an increasingly aggressive Congress is looking to capitalize on. "It's like Indira Gandhi has come back," said Fuzail Ahmed Khan, 45, a Congress supporter. "The state's farmers want Rahul Gandhi to be prime minister, Priyanka to be chief minister." Indira Gandhi, India's only woman prime minister known as the "Iron Lady", was criticised for suspending civil liberties for nearly two years starting in 1975.